We sat down with Jordin Borer of Lucid Ventures to find out why they took on the local Italian restaurant scene, what it’s like to work with the legendary Gidon Novic, and what we can expect from Lucid Ventures in the near future. Section 12 J of the Income Tax Act was introduced in 2008 to stimulate much-needed equity funding for small and medium-sized enterprises. What makes this attractive for investors is that they get a 100% tax deduction against their investment into a Section 12 J venture capital company. This has a positive impact on the South African economy as small businesses are the future. One of the leaders in the Section 12 J arena is Lucid Ventures. Its investment committee reads like a fantasy rugby league draft: Gidon Novick (founder of Kulula.com), Alon Apteker (ex-director of Dimension Data), Leor Atie (Exec. Director of Saicom Voice), Rowan Williams (head of co-founder of iCapital), Neil Eppel (Executive at Sasfin Capital), and Jordin Borer as the investment hunter. We met up with Jordin Borer to chat about their latest endeavours. Our meeting place was at Lucid’s latest baby – Jamie’s Italian in Melrose Arch. What makes Lucid so attractive is not only the financial capital they invest into SMEs, but the human capital that comes with every venture they take. As evident, the board of this Section 12 J company is jam-packed with years upon years of experience. This allows Lucid to guide business owners in the right direction. Lucid Ventures raised money from a very select group of investors to curate and harbour its own pool of human capital. This group of 15 investors are all brilliant in their own right. Lucid Ventures initially set out to invest in technology but soon realised that the South African tech market is not yet developed enough to be seen as a stable avenue to venture down. Instead, the committee had a look at the hospitality and food industry in the country, which is booming. The principles of a Lucid deal is an initial investment of R2-million to R10-million for a minority stake in any given SME. Investee companies need to be driven by successful and ambitious entrepreneurs. This deployment of capital is intended to accelerate business growth and assist companies in dominating their individual markets. 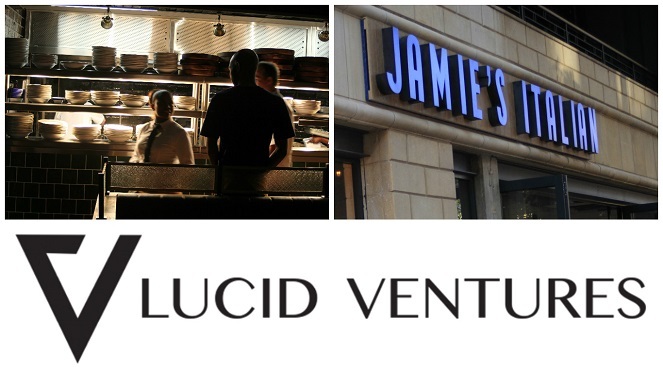 Lucid Ventures has invested in Jamie Oliver’s signature restaurant, “Jamie’s Italian”. Jamie’s is operated by highly experienced and successful restaurateurs. The first store was opened in Melrose Arch in December 2016, with further plans to roll out stores nationally. Lucid has acquired a significant stake in Tented Adventures. Tented Adventures owns and operates tented camps along popular tourist routes throughout Southern Africa. Its existing locations include the Kruger National Park and Pilanesberg Game Reserves. The innovative model and attractive hospitality ecosystem will allow for substantial growth with a very favourable outlook. Lucid Ventures has acquired a number of apartments in the Radisson Blu Hotel and Residence Cape Town. The iconic former Safmarine House has been redeveloped into a five-star hotel with the addition of luxury sectional title apartments. The Radisson Blu Hotel and Residence is situated in Cape Town’s Waterside precinct, the financial and legal centre of Cape Town, where the CBD and the docklands meet. City Helicopters was founded by Lucid Ventures and Enzo Kuun in January 2017. Based in Cape Town, City Helicopters provides leisure and adventure helicopter flights around scenic Western Cape routes. The experienced fleet is comprised a Bell 206 Jet Ranger with registration ZS-RTT.